Let me put the record straight: Datuk Seri Johari Abdul Ghani, Malaysia’s second finance minister, was not the first federal minister who spoke openly about the size of the civil service. In 1985, Tun Daim Zainuddin, then finance minister, highlighted that Malaysia’s civil servants-to-population ratio was higher than that of its bordering countries, Japan, India and Britain. To put it simply, this is a decades-old issue. The debate today gravitates around the heterogeneity of size and definition of civil service globally, which can be perplexing if we cannot understand the meaning of the problem. To be sure, there are many African countries with a much lower civil servants-to-population ratio than Malaysia. So, let us focus the discussion on something more sensible: its impact on the country’s financial priorities. It is about the opportunity cost of not spending a ringgit more on other obligations but the civil service. Malaysia’s public wage bill percentage out of total expenditure today is at 36 per cent or “only” one per cent higher than in 1986. So, how large is Malaysia’s public wage bill compared with other nations? Based on the 2012 World Bank data, Malaysia spent 24 per cent whereas Russia and Kazakhstan (similar gross domestic product per capita as Malaysia), spent 16 and seven per cent respectively, South Africa and Denmark (similar GDP as Malaysia) spent 14 and 12 per cent respectively, and Poland and Canada (similar population size as Malaysia) spent 11 and 12 per cent respectively of their total expenditure in the year. It is safe to conclude that Malaysia’s public wage bill is notably higher than many similar nations around the world. Having a large public wage bill is not all that bad. In 2012, Singapore spent 39 per cent of its total expenditure on public sector salary. Such a large percentage was not because of the size of its civil service, but mostly due to Singapore’s high public sector payscale as the government consistently fine-tunes its remuneration system to the private sector’s. As the second largest standing military force in Nato, Turkey maintains a high public wage bill mostly due to its armed forces. On the contrary, Portugal, Ireland, Greece and Spain have a high public wage bill and such condition restricts their financial capacity to deal with economic crises, such as the European debt crisis. The idea of reducing Malaysia’s public wage bill is all about lessening budgetary pressures in dealing with labour cost. Private companies often face a similar conundrum as well. The Malaysian government’s fiscal consolidation policy has worked tremendously well since 2010, but moving forward, such strategy is only sustainable if it involves reducing the public wage bill. Alternatively, the government could also review the tax structure on public sector employment to further expand its revenue base. Interestingly, Singapore maintains a higher public wage bill but also spends more on development expenditure than Malaysia. Spending less on development means that the government will have a higher appetite to borrow or rely more on infrastructure-related foreign direct investment (FDI) to sustain growth momentum. Lately, the public is heavily influenced by some quarters that foreign investment, regardless of the source country, is negative on the country’s sovereignty although it is probably economically correct to do so. This is not a suggestion that development expenditure is a substitute to FDI just as FDI should not be the substitute to the lack of infrastructure spending. 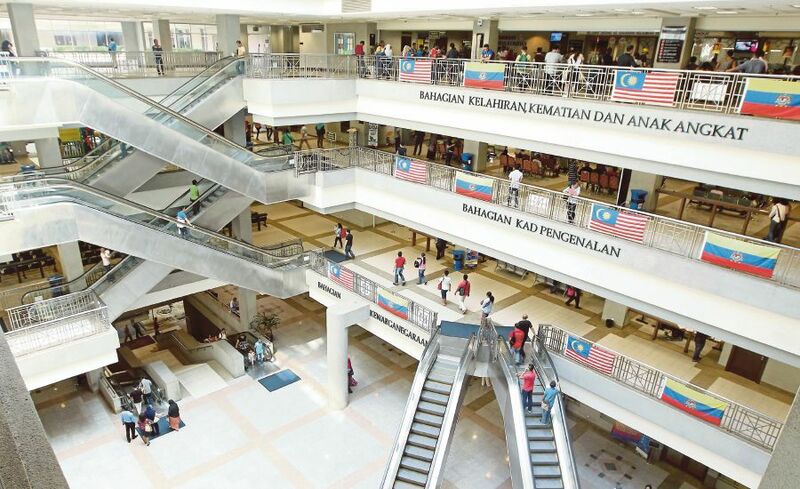 Malaysia’s civil service has undergone improvements over the years, but, quality talents continue to be sought, often at a much higher price, externally rather than internally. A similar strategy is being adopted by many African countries, which, in turn, inflates the public wage bill and affects talent planning. As a transitioning economy, the government faces a gargantuan task to improve the overall payscale to match Malaysia’s economic development, let alone to narrow the gap between the lowest and the highest civil service pay grade without burdening the budget. It is no surprise why finance ministers are the ones who do not hold any punches on issues concerning the civil service. At the end of the day, addressing the public wage bill makes perfect economic sense. This writer strongly believes that reducing the public wage bill is in the interest of the government in more ways than one, for all the right reasons.